Bing Cao is the Lecturer of Anhui Polytechnic University. He received PhD in Civil Engineering from Wuhan University of Technology. He is the Visiting Scholar of Bridgeport University. Up to now he has been responsible for and participated in several project studies. His research interests include Engineering Structure Calculation Theory, Composite Structure, Assembled Structure, Anti-seismic Design of Structures. 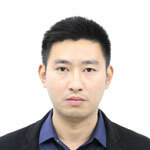 He has published over 10 articles in journals and conferences, including Chinese Journal of Applied Mechanics, Journal of Building Structures, Journal of Harbin Institute of Technology, Journal of Fuzhou University, Journal of Hefei University of Technology, 2nd International Conference on Civil Engineering and Building Materials in Hong Kong, and so on. Meanwhile, he is the Reviewer for more than 3 high quality international journals, including Advances in Mechanical Engineering, American Journal of Engineering and Technology Management, Recent Patents on Engineering, Earthquake Engineering and Engineering Vibration, and so on.